William Kneass revised John Reich's portrait bust of Liberty for 1831, giving it bolder details overall. 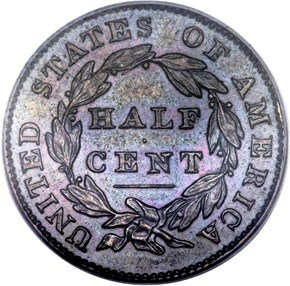 Coins of this and subsequent dates were stuck within close collars that imparted distinct, raised rims and flat edges. 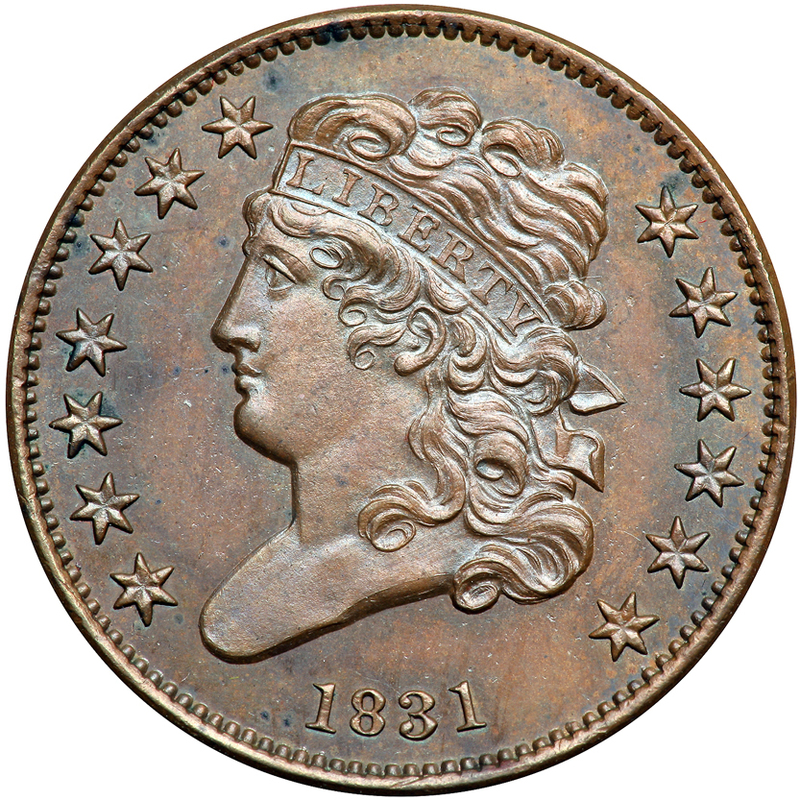 The rare half cents dated 1831 are generally considered to have been proof-only issues, though there are some numismatists who have asserted that currency strikes were made. 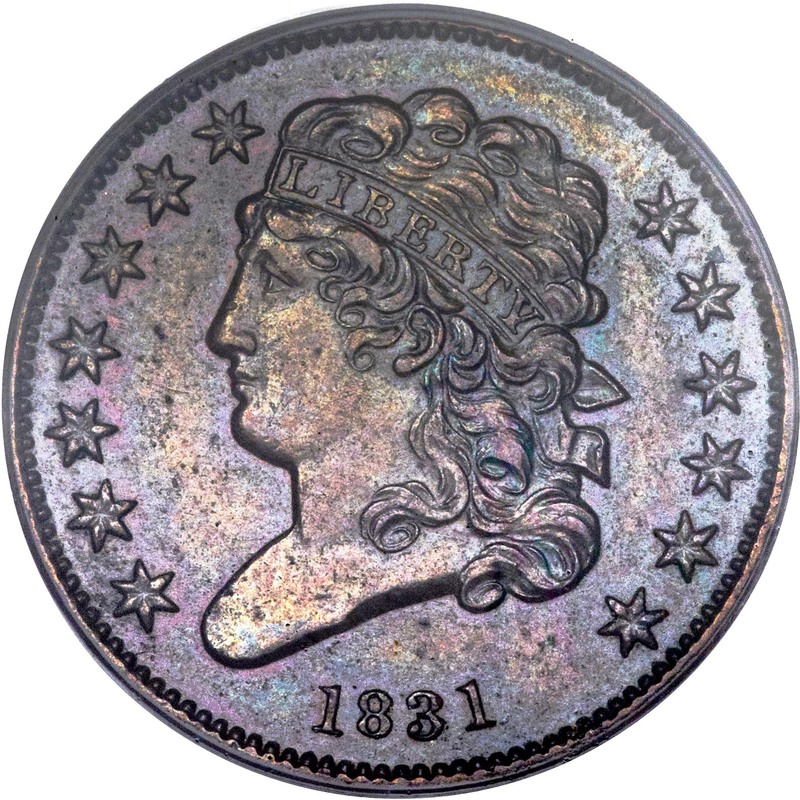 Since the number coined is very small, any unworn currency strikes would display the prooflike fields typical of fresh dies, making their attribution challenging. Muddying the waters further is that several worn examples are known. 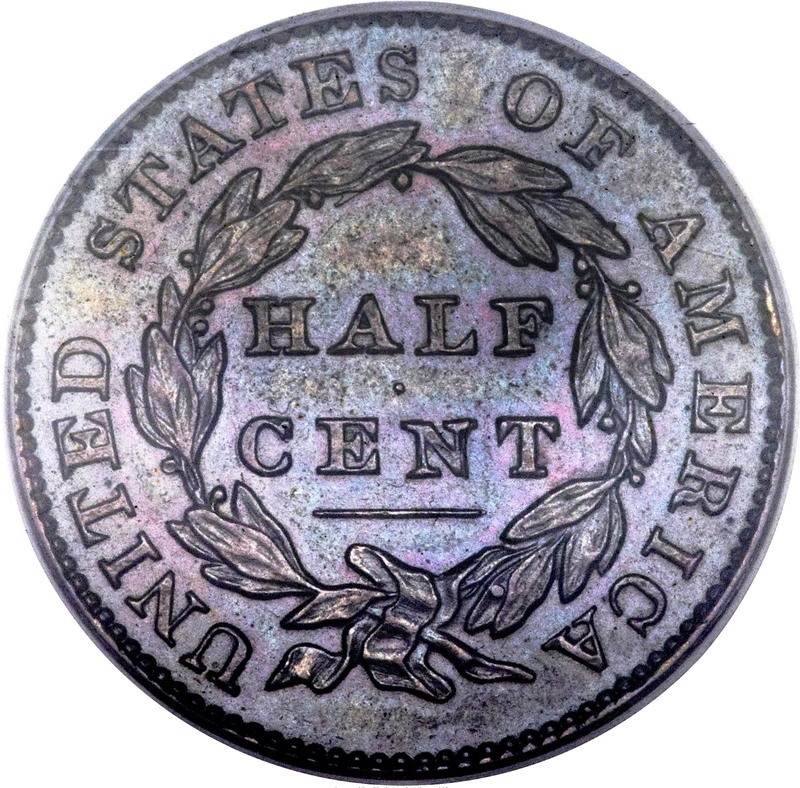 A U. S. Mint record of 2,200 half cents for 1831 is doubtful, and it most likely refers to an early emission of 1832-dated pieces. The number of proofs coined is unknown, but this date was restruck twice over the next 30 years. All three emissions are quite rare, with the exact number suriving of each being uncertain. 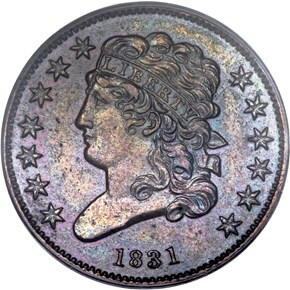 The 1831 Original issue was produced with a single obverse die and a single reverse, the latter transitional with 1832 C-1. Both dies were new and produced bold impressions. 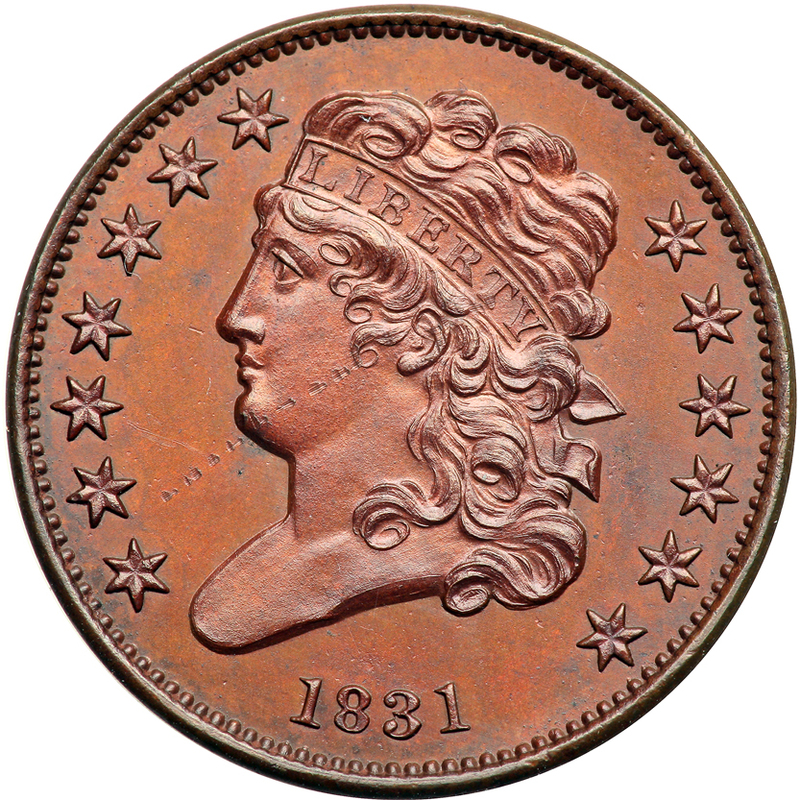 11/9/2009 — This month, David W. Lange begins a new series on a pivotal year in the history of United States coinage. Read on for part one.